Oh. My. Goodness. Can you say Go-Go-Go? Our day might have started out with an unhurried breakfast but by 9:00 we were out the door! 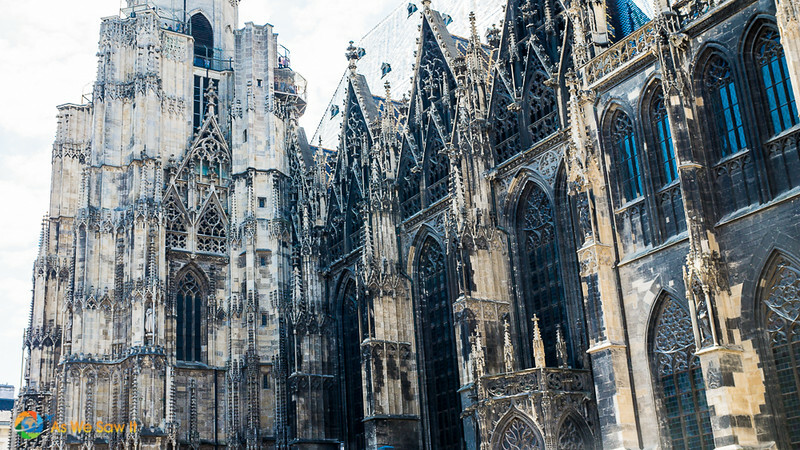 This morning Viking was offering three morning tours of Vienna: one that focused on its Art Nouveau scene and two that featured the city’s historic center. 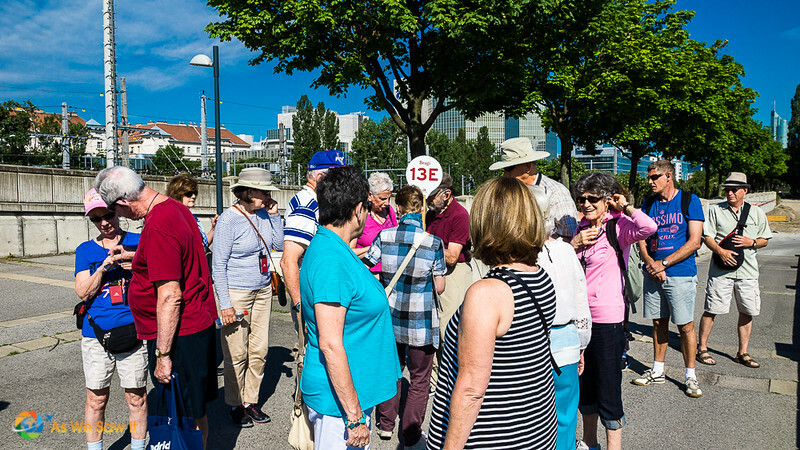 The difference between the two city tours was minimal, I think, but it’s an important one to mention: one group took the bus into town and the other used U-Bahn, the city’s subway system. Being used to taking public transportation we chose the latter. I think we made a good choice because our group was smaller than a busload (only 19 people) and we got to walk more more exercise. Besides, our bus-touring friends later complained about how much time they had wasted just getting into the city. Thanks to all the traffic they lost valuable sightseeing time. 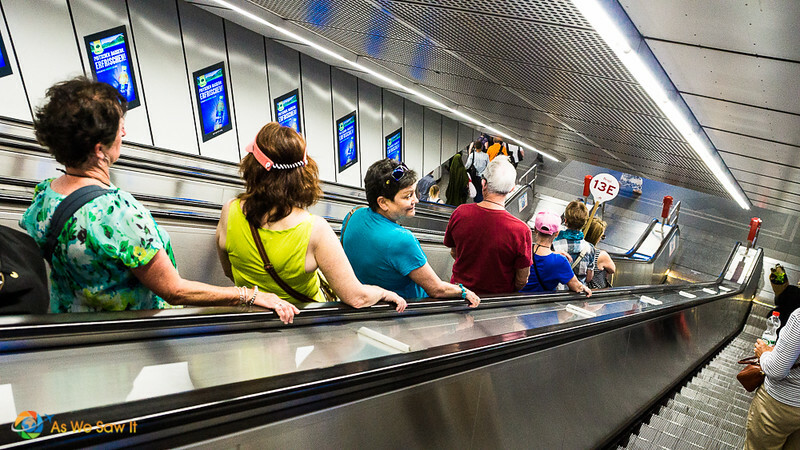 So off we went with our little group, down the escalator into the bowels of the city. No worries though, because navigating Vienna's U-Bahn is easy. You just buy a ticket at a machine (English is available) and then insert it into the date stamper when you want to use it. overhead signs tell you where the next train is headed and when the next train will arrive. 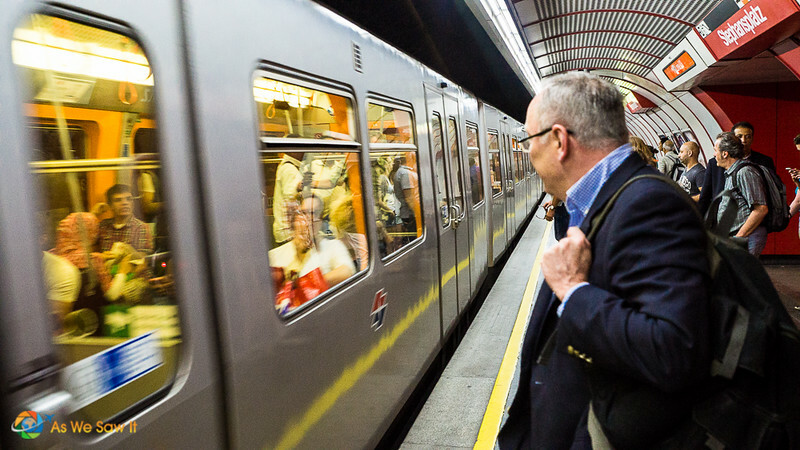 Vienna's subway system is clean and safe. 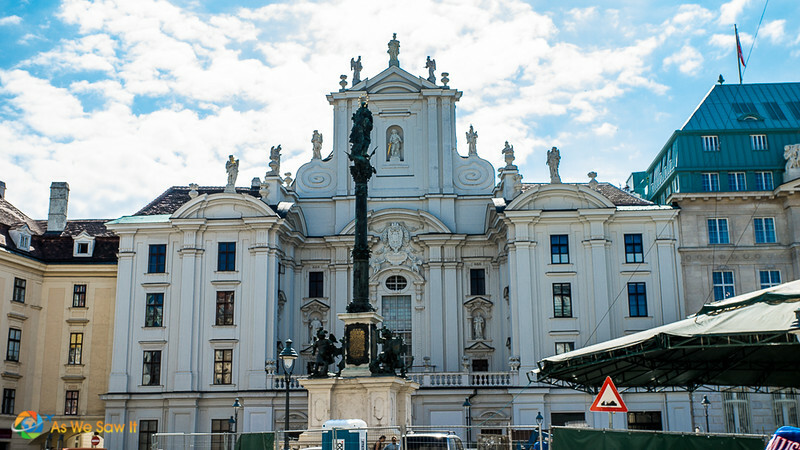 Our tour guide grew up in Vienna with an obvious love for the city. 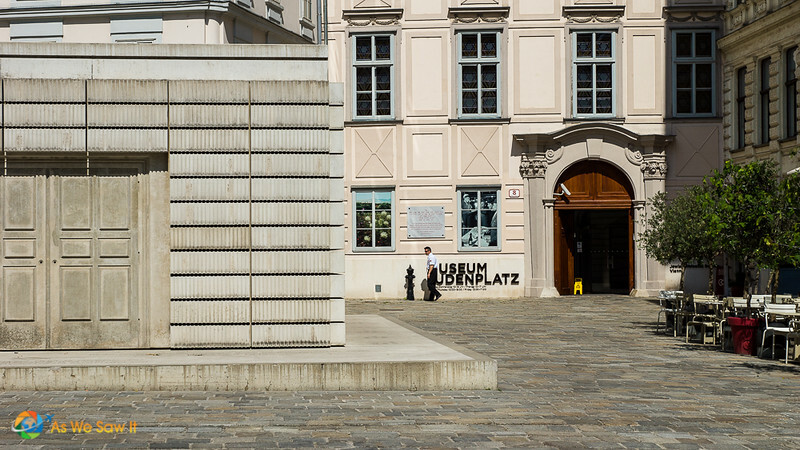 She was full of all sorts of interesting anecdotes, such as the story about how Vienna handled its incessant problem with pigeons “baptizing” their numerous statues with droppings. They tried a number of methods, including birth control pills, removing nests, and even replacing their eggs with clay eggs … for whatever reason they now have far fewer birds than other cities do. Walking through the city she also pointed out the many statues covered with fine mesh netting, to prevent them from setting up home again. I would bet that was especially effective. Look closely … you'll see the mesh netting Vienna uses to keep birds off the statues. 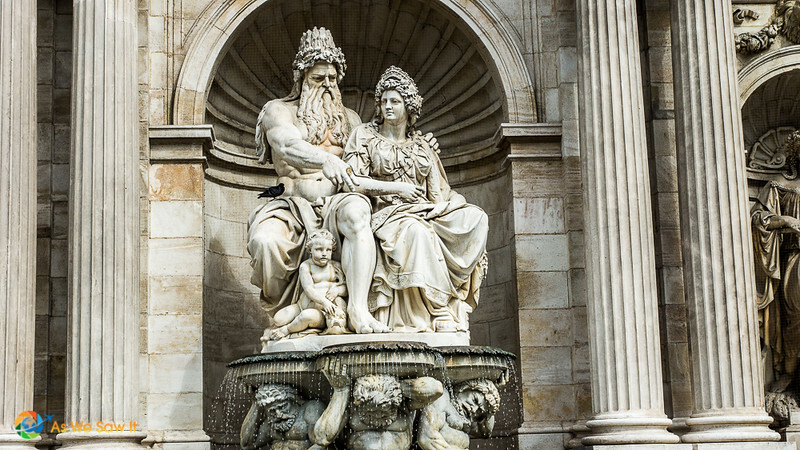 Vienna's center is chock full of classic sights, and we saw so many that it would be hard to list them all. Dan took a whole lot of photos of a whole lot of places and there are many names I can't recall. I would be truly grateful for help labeling his shots, both here and in our photo gallery. 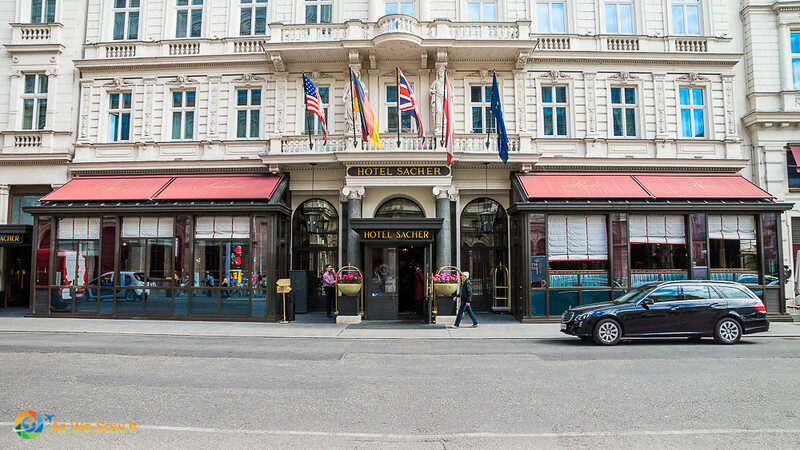 Hotel Sacher Vienna is one of the world's great luxury hotels and where Sacher Torte was created. Café culture, firsthand … bucket list: check! After our tour we stopped at a café, which was on our Must-Do List. 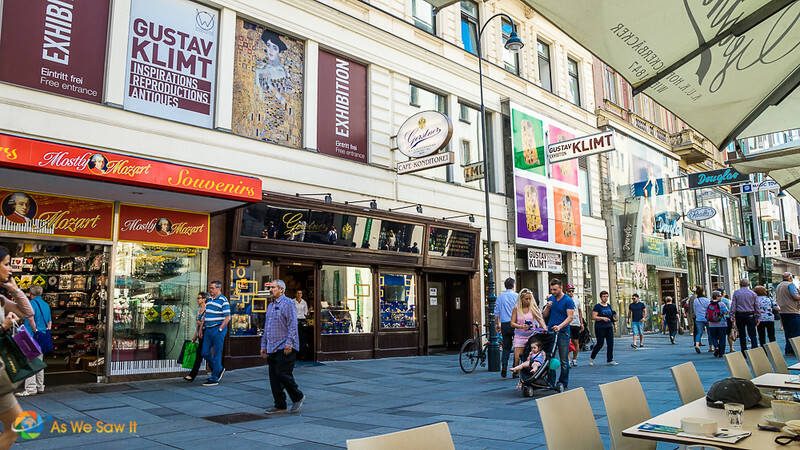 The Viennese have a very strong coffee culture and their cafés are central. Although we had missed yesterday’s briefing on Viennese coffee house etiquette we knew that it’s meant to be a leisurely experience, one meant to be savored. No one will rush you to finish to make room for another customer; you can sit there for hours if you want … and many do. Tip: Don't make the mistake of overpaying your service charge. Some restaurants already include a small service charge on your bill … so check before you leave a gratuity. If it hasn't been added, round up the total owed for a tip of just under 10%. Our guide highly recommended a nearby place called Cafe Gerstner so we lingered at an outdoor table there until it was time to return to the ship for lunch. It was hard to select from the variety of sweets on display; I finally settled on a chocolate-covered strawberry and Dan chose to enjoy an éclair. 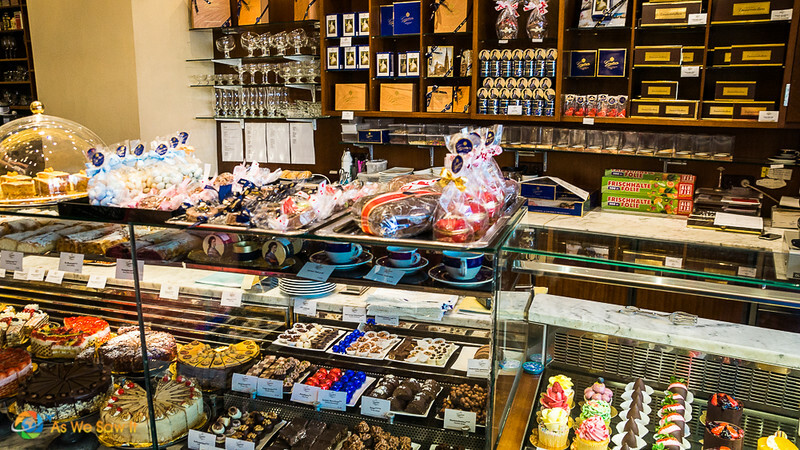 The bad news: We have more drool-worthy photos of Viennese pastries in our photo gallery. We each ordered an iced coffee to accompany, Viennese style. 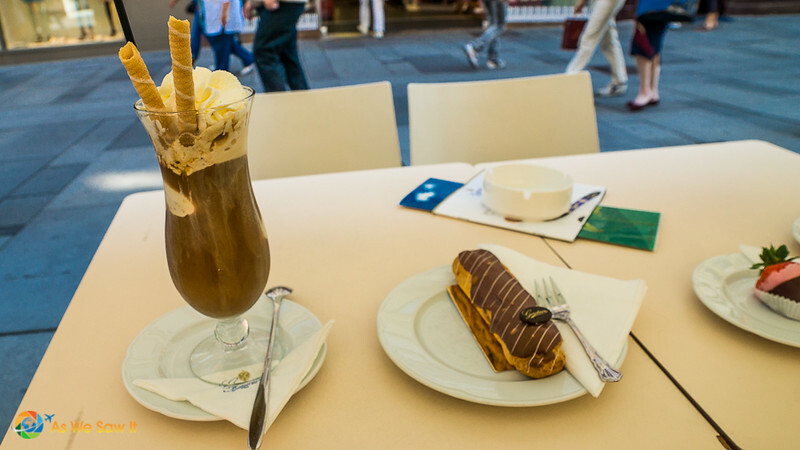 Believe me, Viennese iced coffee is nothing like the sweet, milky brew-over-ice we get in the U.S. Rather, it is a luscious combination of ice cream and coffee (and has the luxury price tag to accompany it – 7 euros!). 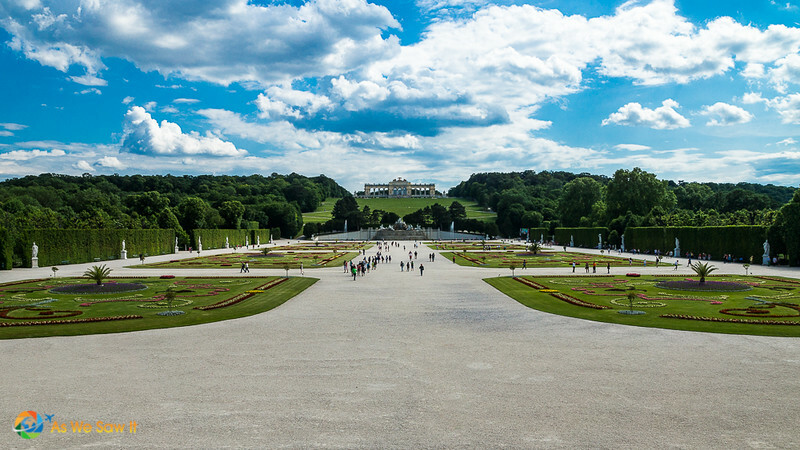 I can certainly understand why many passengers preferred to forgo the optional tour to Schonbrunn Palace in order to spend their time in town. 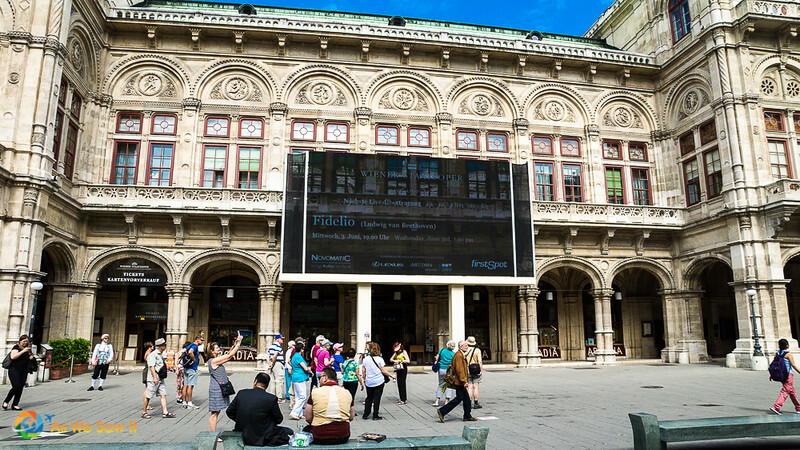 Vienna is definitely one city that could take weeks to explore. Still, Dan and I wanted to squeeze this site into our day. 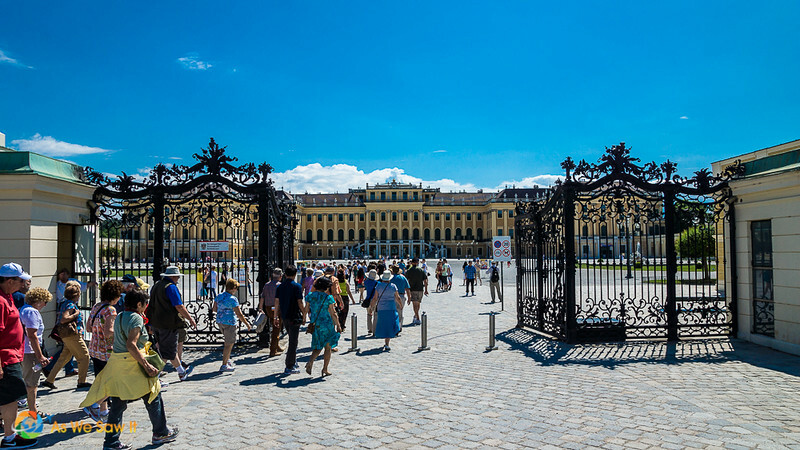 Schonbrunn Palace is a UNESCO site, the spectacular summer residence of the Hapsburgs. 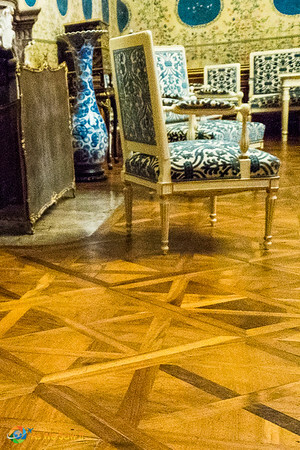 Think Versailles with an Austrian flair. At the last minute some passengers decided that they wanted to take the Palace tour after all. Unfortunately they were out of luck because all the arrangements for buses and tickets had already been made. 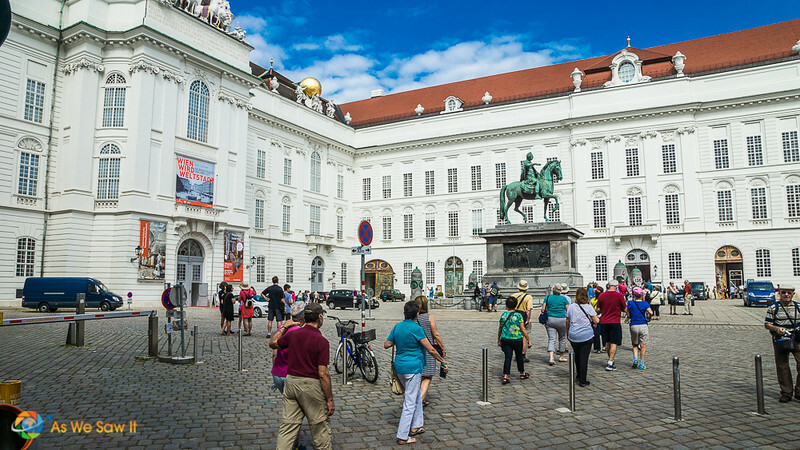 Hearing that, they asked the ship's concierge for directions to Schonbrunn, then took the U-Bahn and bought their own admission at the Palace’s ticket office. They saved a lot of money over Viking’s excursion package but I have no idea how the two Palace tours compared. 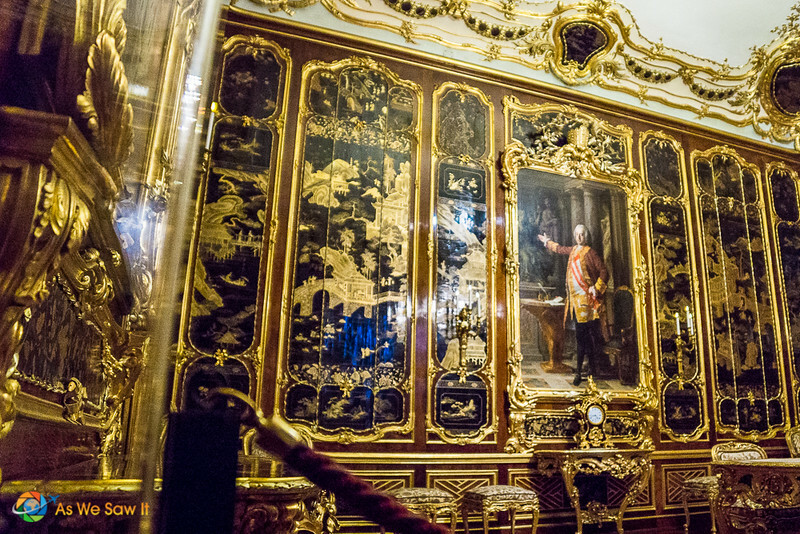 The palace and history of the Hapsburgs was fascinating and well worth the entrance fee, even though there is precious little furniture in the place. No photos are allowed in the Palace’s massive interior – don’t ask me why – but the guards didn't seem to notice people using their cameras. Dan shot a few so I could share them here. I wish they would change their policy because I think photos make people want to visit all the more. If you're really budget-conscious but still want to visit Schonbrunn, the palace's extensive gardens don’t require a ticket. 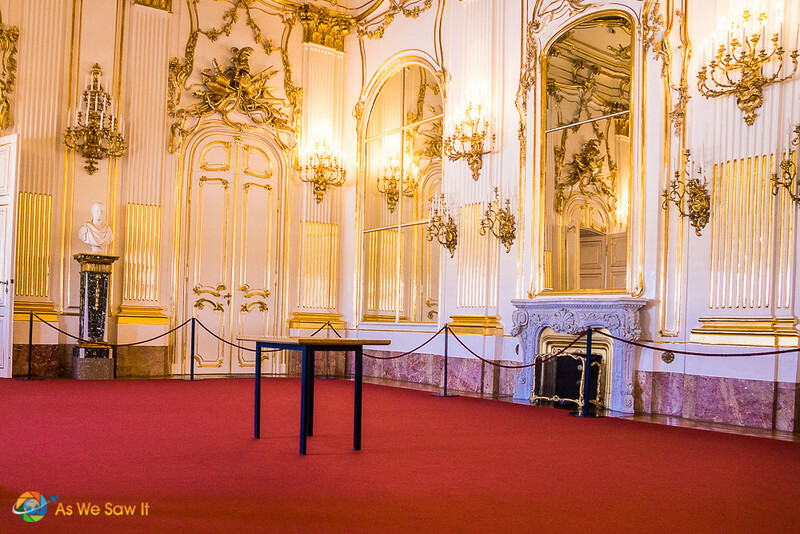 Click here to see more photos of Schonbrunn Palace. After dinner on the ship, we joined an optional excursion to enjoy a classical concert at Palais Auersperg, a small performance hall in the city. A chamber group played well-known pieces by Viennese composers Strauss and Mozart, sometimes accompanied by vocalists and/or dancers. We all enjoyed the break midway through the concert, when we were served flutes of champagne. We arrived back at the ship a little after 10. Some passengers took advantage of the ship’s 12:30 departure and left to spend a bit more time in Vienna, but we didn’t. After running all day we needed some down time so we chatted with our new friends in the Lounge. Hover over the top left of any image to save it to your Pinterest gallery. You'll also find more images in our photo galleries, which have a free Slideshow feature, in case you would like a full-screen display. 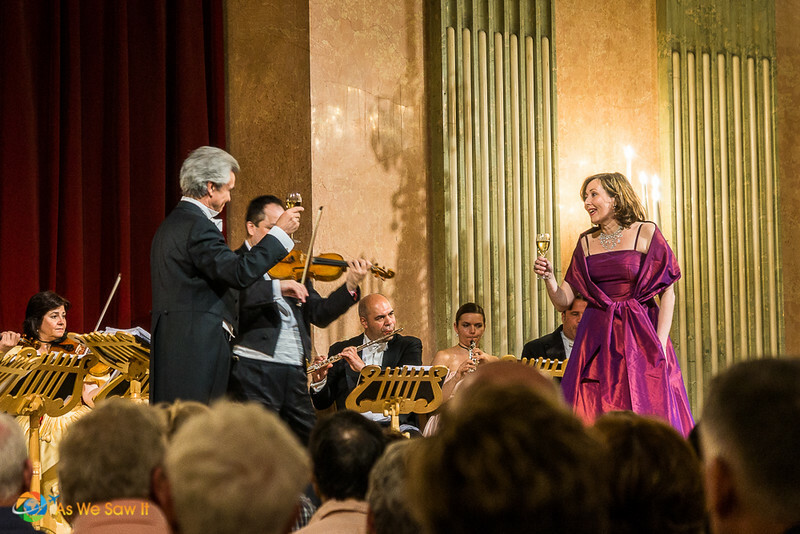 Click here to see more photos from our day in Vienna. 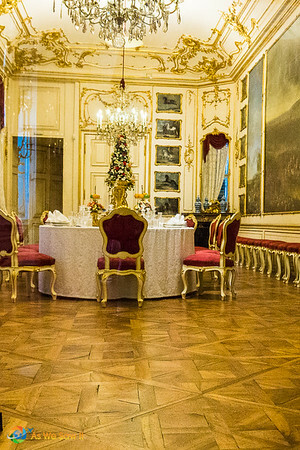 Click here to see more photos from Schonbrunn Palace and gardens. Click here to see more photos from our classical concert excursion.